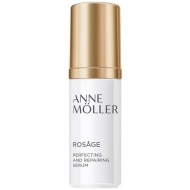 Provides visibly more luminous, revitalized, firm and rejuvenated skin. 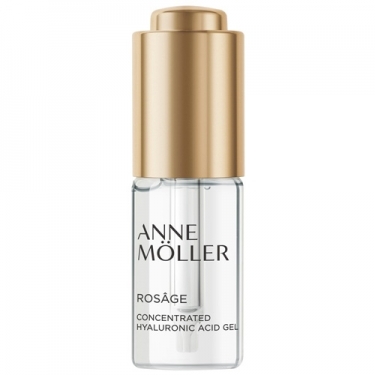 DESCRIPTION: Rosâge Hyaluronic Acid Gel from Anne Möller is a concentrated gel of high yield hyaluronic acid, with immediate effect and long-term action. Its advanced formula with bio-targeted technology reactivates the skin cells responsible for the production of hyaluronic acid. 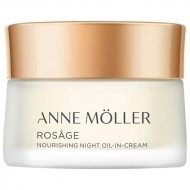 It acts on 3 levels to achieve a real improvement of the face aspect, exerting a global action to rebuild from the interior a visibly more luminous, revitalized, firm and rejuvenated skin. Its non-greasy, ultrafast texture leaves no residue. All skin types. Tested under dermatological control. Apply on face, neck and décolleté before the cream.